What You Should Know about Islam's Holy Book How is it like the Bible? How is it different? Why is it important? Muslims believe the Koran exists as a literal book in heaven and was dictated to the prophet Muhammad by the angel Gabriel. It is only the length of the New Testament, yet a fifth of the world claims it is the complete revelation of God. To most Americans, though, the Koran remains a mystery. Did you know that the Koran teaches the virgin birth and miracle-filled, prophetic ministry of Jesus? Claims to fully embrace his teachings? Reveres Abraham, Moses, Jonah, and other biblical prophets? Find out how the Koran resembles the Bible-and the drastic ways in which it differs. 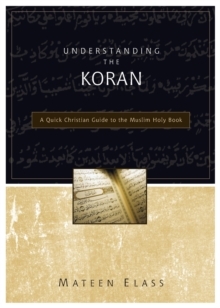 Understanding the Koran gives you a fascinating essential grasp of Islam's holy book: where it came from, what it teaches, how Muslims view it, and how the Allah of the Koran compares with the God of the Bible. Cherished as the final, perfect revelation of God's will by 1.2 billion Muslims worldwide, the Koran has become a part of American life. Today, those who read and memorize it may work in your town, shop where you shop, or send their children to the same school your kids attend. 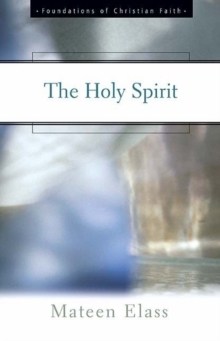 What do you know about the holy book that shapes the lives and eternal destinies of your neighbors and a fifth of the world's population? While some similarities exist between the Koran and the Bible, the differences are striking. 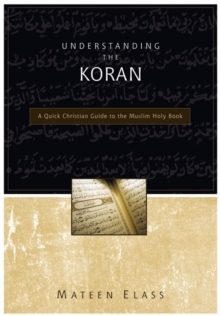 Written by a pastor who was born to a Muslim father and raised in Saudi Arabia, Understanding the Koran gives you a fascinating, easy-to-understand overview that will show you: *Why the background behind the Koran is important *How the Koran came into existence *A summary of the main teachings of the Koran, including what it says about Jesus and the crucifixion *Similarities and differences between Muslim and Christian views of God *What the Koran teaches about Jihad and holy war *What the Koran teaches about heaven and hell More than furnishing you with an essential grasp of Islam's holy book, Understanding the Koran points you to the one thing that can draw your Muslim friends to Jesus-his love, demonstrated to them through you.